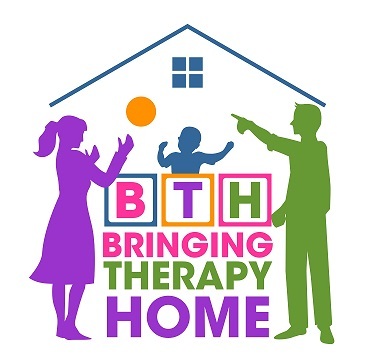 Bringing Therapy Home offers fun, age-appropriate, interactive groups utilizing research-based curriculum. Groups are designed for children ages 3 through 7 years old – this includes all children –typically developing children and children with delays (speech, language, fine motor, gross motor, or cognitive delays). We will utilize a visual schedule, movement, objects to represent vocabulary and concepts, step-by-step communicators, and a communication device so that all children, regardless of their developmental level, can participate. Morning and afternoon classes are offered in the afternoon. Each class is 60 minutes and occurs for 8 weeks, starting on Friday, June 5, 2015. Class meets once a week. The cost for each group is $180. Each class size is limited to 8. You may enroll your child in 2 group sessions. Snacks are provided for children that are registered in more than one class. If your child has dietary needs, we will have snacks available that meet those needs (gluten free, dairy free, peanut free, etc.). Groups will take place at The Clubhouse in the Symphony Hills Subdivision. The Clubhouse is located at 14915 S Gallery Street, Olathe, Kansas. This is conveniently nestled between Pflumm and Blackbob, off of 151st Street. Each week, parents will be emailed a newsletter that describes the activity and skill targeted for the week along with tips/suggestions on how to carry-over the skills into the home and community environments. Families are encouraged to share the newsletter with other adults in the child's life. Two weeks prior to the start of the group, you will be contacted by one of the facilitators to discuss your child’s strengths and specific needs of your child. This information will be utilized to plan and develop the activities used for the group sessions. occupational therapist. The afternoon group sessions will be led by Taylor Hornbaker, a speech-language pathologist and, Mary Maxey, a special education teacher. Janet Diemer and Anne Stith, our group assistants with early childhood experience, will also be present during group activities to provided the necessary support to the children. If your child has an Individualized Education Plan (IEP), please let us know what your child's goals are and we can embed the goals into the group activities. To enroll your child in a group, please complete the registration form, located at the bottom of the page. Once the registration form has been submitted, you will receive a confirmation email. A $50.00 non-refundable deposit is required with your registration (the amount will be applied toward the class fee). Payments can be made by check (Bringing Therapy Home, P.O. Box 1053, Mission, Kansas, 66222) or payments can be made online using a credit card (link is located under the registration form). There is a $5.00 processing fee when payment is made using PayPal. Once payment has been received, you will be emailed a receipt. If you need to set up a payment plan, please contact Bringing Therapy Home. We want your child/family to receive the support they need and offer payment plans if needed. If you have questions regarding the group classes offered, please contact Bringing Therapy Home. Books are a natural, engaging way to provide children with ample opportunities to use and understand language concepts. In our "Away with Books" group session, your child will be immersed in language as they interact with a different book each week. Throughout the 8 week group session, your child will be presented with "The Very Hungry Caterpillar" by Eric Carle, "I Ain't Gonna Paint No More" by Karen Beaumont, "If You Give a Pig a Party" by Laura Numeroff , "Who Took the Cookies from the Cookie Jar" by Bonnie Lass, "There Was an Old Lady Who Swallowed Some Books" by Lucille Colandro, "Pete the Cat: At the Beach" by James Dean, "Mrs Wishy- Washy's Farm" by Joy Cowley, and "Five Little Monkeys Jumping on the Bed" by Eileen Christelow. We have adapted each book using objects and pictures to increase comprehension of the concepts within the story. We will utilize music and movement, play, and interactive language groups to expand on the weekly skills. Children will take on different roles from the book to increase their understanding of the concepts. Skills such as positional concepts, vocabulary, making associations, increasing use of spontaneous language, increasing the length and complexity of their language, answering questions, asking questions, expanding on language using descriptive words, verbal turn-taking, and responding to peers using age-appropriate language will be targeted (lessons are created based on the needs of the group). ﻿﻿"Fun with Fine Motor" will provide opportunities for your child to develop and enhance their fine motor skills using concepts from Handwriting Without Tears. Handwriting Without Tears is a curriculum that uses a multi-sensory approach to teaching handwriting beginning with foundational fine motor skills, working up to letter formation. Each week, your child will participate in fun, engaging activities that will address a variety of fine motor skills. The fine motor skills targeted provide the foundation required for handwriting. Because every child has varying levels of fine motor abilities and areas of growth, activities will be modified to meet each individual child’s need. Your child will become a "social thinker" by participating in the "The Incredible Flexible You" curriculum from Social Thinking. The curriculum utilizes music, interactive story books, and play activities. Each week, the children will go on a new adventure with four characters, Evan, Ellie, Jesse, and Molly. The facilitators will role-play with the children using the concepts of the story using interactive activities, visuals, and play opportunities. Activities will focus on teaching your child Social Thinking concepts and vocabulary: Thinking Thoughts and Feeling Feelings, The Group Plan, Thinking With Your Eyes, Body in the Group, and Whole Body Listening. Each week, your child will come home with a visual that helps carry-over the skill learned in the group. You'll learn the language to help your child generalize the skills during interactions with others. This class is ideal for children entering kindergarten, who are in first grade, and, especially those children that need that "extra" boost to their social interactions skills. "Play is the brain's favorite way of learning"